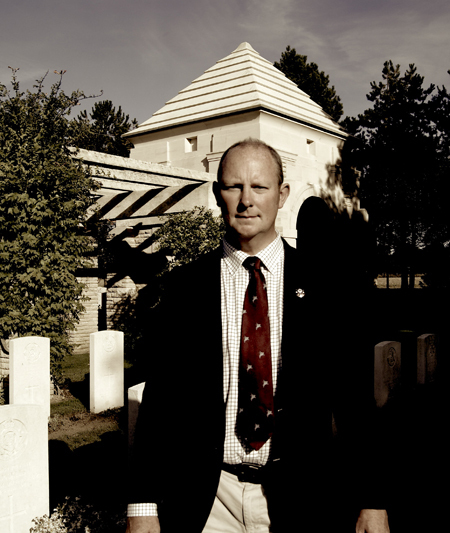 I'm Gary Weight and work as a battlefield guide, historian, author and researcher. 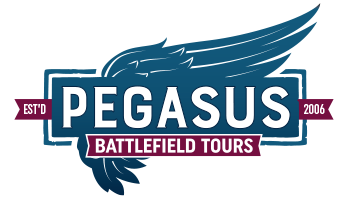 I established Pegasus Battlefield Tours in 2006 after working as a military historian on various European Tours for other companies during the 1990s. At first my emphasis was solely on Normandy but I now spend an ever increasing amount of time conducting tours across the battlefields of Belgium, Holland and Germany. I also greatly enjoy the process of researching family connections and have conducted a good number of tours that retrace the footsteps of particular family members and units from the Normandy beaches all the way into Germany. Whether it is the American, Canadian, British, German or Polish units and actions, I have an equally deep knowledge and have met and interviewed many veterans so therefore have many first hand accounts to pass on within the tours. I use an assortment of maps, photographs and personal accounts to 'bring alive' the tours. 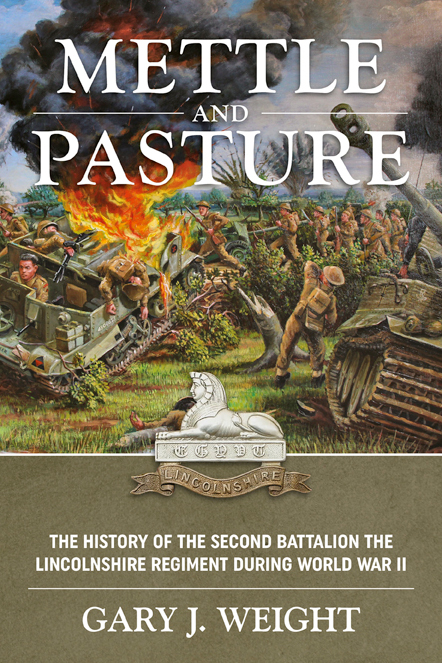 I currently split my time between England and mainland Europe and in 2015 my book 'Mettle and Pasture' was published about one of the regiments active in NW Europe during WWII. During the winter months I lecture at various establishments, mainly in the UK, on the events in Normandy and Holland during 1944. The Lower Normandy Battlefield Zone - PLEASE TAKE TIME TO READ. Lower Normandy is a large area covering 6,791 square miles, it is larger than some countries with around 1.5 million inhabitants. To expect to see everything in a day is physically impossible, therefore having a reasonably good idea of what you want to see and how long you would practically set aside for your stay before you arrive is what one may consider "a pretty good idea!" People come to Normandy for a variety of reasons of course, some have been before, some have not. Some come to Normandy to holiday and have no wish to to explore anything related to past events whilst many arrive with only one thing in mind - the military campaign of the summer of 1944. Others make a pilgimage to Normandy on a far more serious note to pay their respects to lost friends and relatives and whilst a great many people live in Normandy a great many people also died during 1944, and are buried in the rich Norman soil - over 100,000 in fact - Allied military personnel, French civilians and of course soldiers of the Third Reich. Memorials are everywhere, there are over 1000 in Normandy now and more are being added all the time to preserve the memory of the soldiers, seamen, airmen and civilians who laid their lives on the line for both sides. Certainly during your visit you will experience deep emotions and witness others who have become overwhelmed for various reasons, this is inevitable, Lower Normandy is a historic battlefield which is still very fresh in many peoples memories and many people who were here in 1944 are still here now. My Normandy tours cover the entire Normandy region. My tours are in-depth and therefore sufficient time is required at each site to adequately explain the significance and context of the action that took place. I am not prepared to commit to tours that in my opinion are effectively 'sight-seeing' tours. There are other companies that do that. The majority of my tours are a minimum of two days since the Normandy battleground is vast - but the more time you can spare the better understanding you will come away with. I am fully aware of time and financial constraints (and I know my tours are not the cheapest out there, although neither are they the most expensive) but my advice is to please consider your visit carefully and allow yourself the correct amount of time. On spare days for example you could visit museums and other local places of interest on your own. I am always at the other end of an email so please feel free to badger me with questions. In conclusion - whilst working with so many veteran associations and the men that took part themselves, I feel my tours offer dynamic insights into the battles that are just not available elsewhere - I only use first hand accounts and have hundreds of hours of recorded interviews privately conducted with veterans that are quite simply unique. I have a deep-rooted passion for what I do and this is not just a job for me - I pride myself on my work and knowledge - and at the end of each day nothing makes me happier than to know I have passed on my knowledge in a clear and respectable fashion that does justice to the subject matter and particularly the men (and women) that took part. 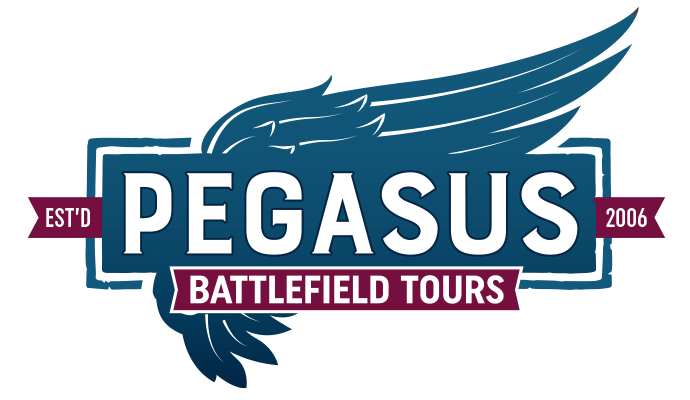 Pegasus Battlefield Tours have over 30 years of touring experience. This is invaluable. The name is recognised worldwide by military organisations, veterans associations, academic institutions and museums. Over 60% of our tours are referrals or repeat bookings. We tailor your tour around your available dates and always discuss your individual requirements before confirming your booking. Member of the European Tourism Association (ETOA). Associate Member of The International Guild of Battlefield Guides. Member of The Western Front Association. Member of the Royal Lincolnshire Regimental & Royal Anglian Regimental Association. 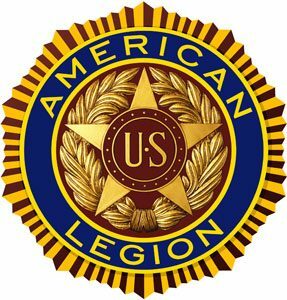 Member of Association Omaha Bedford. A brief email to thank you for such an excellent and well structured tour of the Normandy landings and penetration from the beachhead. The depth and detail of the information you gave us was exceptional and all the action was vividly brought to mind. Have already recommended you to friends! Ready to discuss your battlefield tour?